Updated July 30, 2018 at 1:25 p.m. EST: It didn't take long for the announcement of Gordon Ramsay's new Nat Geo TV show to cause an uproar online. 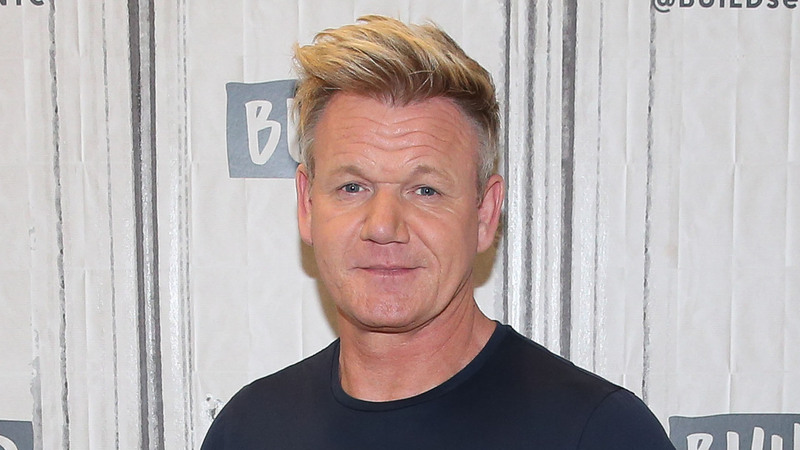 Shortly after it was announced that Ramsay would be hosting a new program titled Gordon Ramsay: Uncharted, people took to Twitter to share their distaste for the show's cultural insensitivity. Other Twitter users noted that the show sounded a little too similar to Anthony Bourdain's show, Anthony Bourdain: Parts Unknown. In response to the negative backlash, a spokesperson for Nat Geo issued the following statement to Eater. Hopefully, the network and Ramsay will take the criticism to heart and ensure the show in no way disrespects any of the cultures or people featured on the show. Original story, published July 26, 2018: National Geographic is stepping up its game. The network just announced two new shows, one with the master of culinary hellfire himself, Gordon Ramsay, and the other with looks-so-good-we-could-eat-him zaddy Jeff Goldblum. What did we do to deserve this? I guess the universe is finally trying to make up for 2017. Now, I don't want to invoke the Gordon Ramsay gauntlet, but I can't be the only one who thinks Gordon Ramsay: Uncharted sounds uncannily like Throwdown with Bobby Flay. The premise of the show is that Gordon Ramsay will travel to locations around the globe learning about different cultures and their foods. Then, he'll engage in culinary battle, trying to best local chefs making their most iconic dishes. OK, so, the scope of the show is a little broader than just some Throwdown knockoff. According to the press release, "Each episode of UNCHARTED will include three key ingredients: unlocking a culture’s culinary secrets through exploration and adventure with local food heroes, no matter where they may lead him; tracking down high-octane traditions, pastimes and customs that are specific to the region in hopes of discovering the undiscovered; and, finally, testing Ramsay against the locals, pitting his own interpretations of regional dishes against the tried-and-true classics." They'll also rely on Ramsay's athleticism (he's an Ironman athlete) for some adventurous excursions, like hunting for tarantulas in Cambodia and scaling the roofs of caves in Malaysian Borneo on the hunt for fresh nests. It sounds exciting, though I'm a little leery of the competition aspect. Nothing like a white British dude going into a new country and trying to convince the locals he knows how to make their food better than they do, am I right? It smacks more than a little of colonialism, but hey, it would also be great if the set up is just to show Ramsay losing every single time because of course visiting a new country for a couple of days isn't enough for someone to both master and reinvent that region's most iconic dishes. Only time will tell! Goldblum's show, The Curiosity of Jeff Goldblum, isn't exclusively food related. It's a 12-part documentary that will explore the science of things we often take for granted, which will include taking a look at how items like ice cream, coffee and cereal make it from farm to table. Hey, if there's anyone who could keep me absolutely rapt with attention while talking about the dairy supply chain, it's Jeff Goldblum. Preferably, while he's wearing a well-tailored suit and slightly unbuttoned shirt. Or a leather jacket. Really, the possibilities are endless. It's not Goldblum's first foray into food television. He has a food show on Funny or Die called Cooking With Jeff Goldblum and Special Guest, two episodes of which are available to watch now. Both new shows will premiere on National Geographic in 2019. Finally, something we can all look forward to!